In my "Connecting to University computers" instructions, SSH was used to run programs on remote computers. However, you may want to transfer files to and from these computers. The easiest way to do this is from Windows to download and install FileZilla from http://filezilla.sourceforge.net. 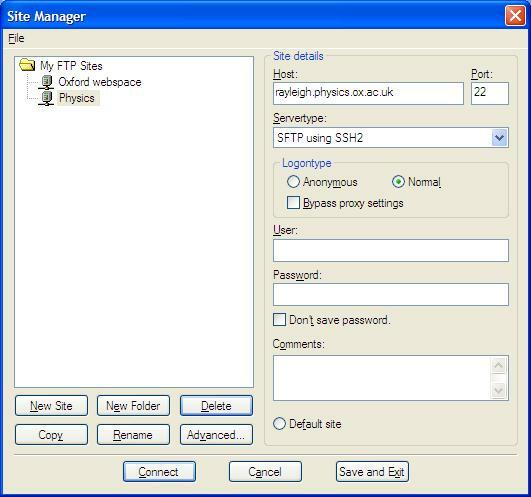 Once that is done, start FileZilla, and go to File, then Site Manager. To upload or download a file, right click it, and then click Download (or Upload). When you have finished, go to File, and then Disconnect.